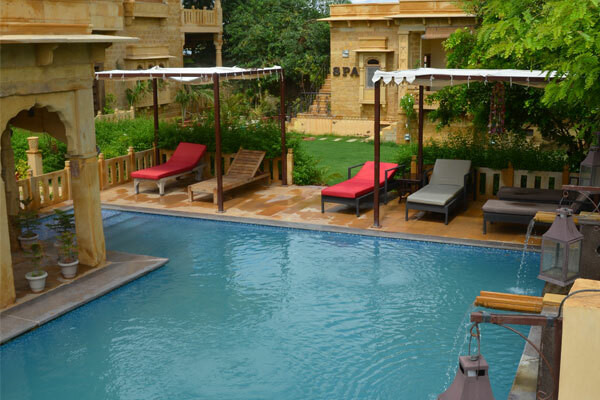 Beat the heat of the desert ,in our swimming pool ,designed specially to give a royal taste with the old traditional look with lot of carvings and the feature of rain water harvesting ,our pool is sure to tranquil your weariness of the visits to Jaisalmer tourist places . 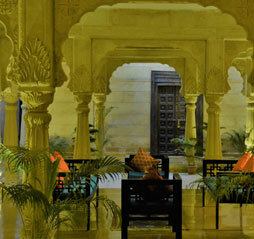 In the Night the pool looks exotic and welcoming as well. 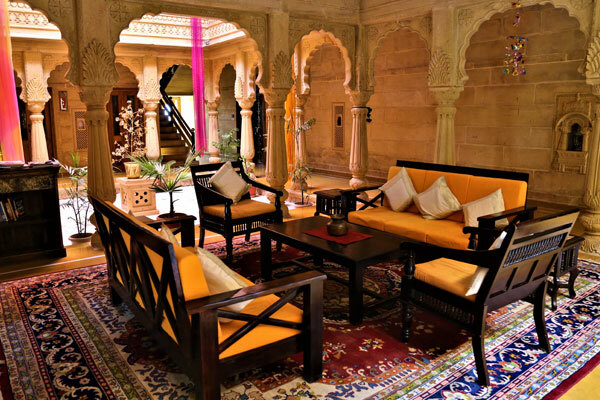 Feel like a king in pure Rajasthani ambiance in our Maharaja Lounge Designed in purely Haveli style and hand crafted by the artisans ,it is all set to give you a Royal experiance day and Night. 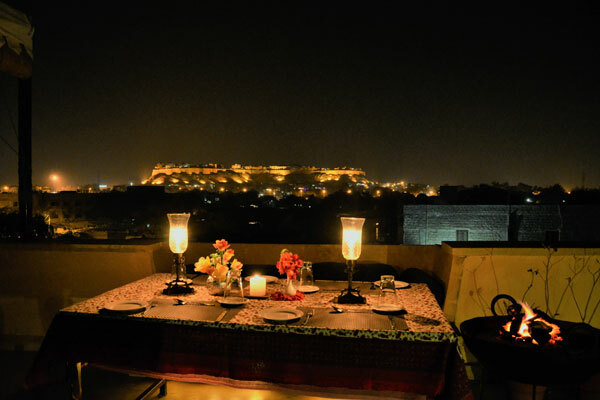 Food in the roof top restaurant is simply amazing. 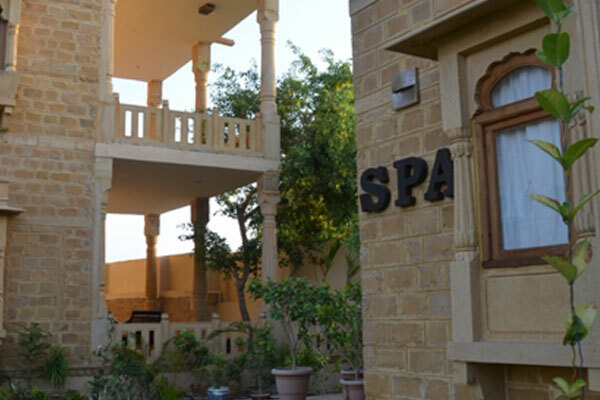 The Gulaal Spa beauty invites you to world of complete relaxation where gentle hands help restore and rejuvenate your mind and body while you reconnect with your spirit. Our spa has been inspired by Our Spa therapists have extensive training in a variety of styles and massages that can be customized to suit your requirements. The treatments at Gulaal spa are created using the "Panch -Tatva"concept,which harness the power of the five elements of nature to ensure your holistic well-being. 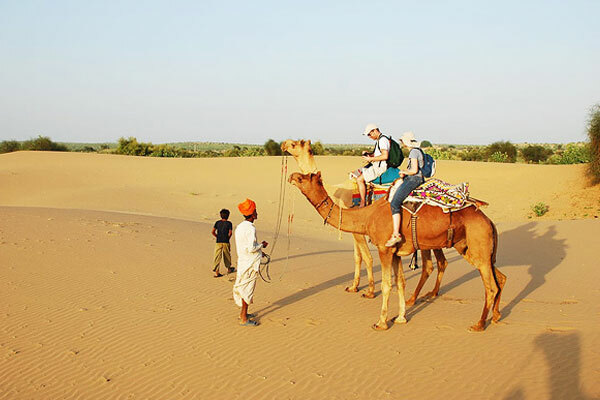 The best way to explore the lifestyle of the countryside and magnificent wildlife at the Desert National Park in Jaisalmer is by setting out on an adventure-filled camel or jeep safari. We offer ultimate overnight desert camping facilities in luxury swiss tented accommodation on virgin Sam / Khuri sand dunes with camel safaris, jeep safari, village safari, wildlife Thar Desert safari and various other adventure tours.